In this age of unrest and accelerating change, modern social and political pundits have been left behind by the rapid pace of events. A new world order is on the cards, all agree. But war clouds loom over the horizon in the current Mideast and modern textbooks offer little solace to the common man, let alone to world leaders in a period of deepening crisis. In such a time as this, thoughtful men and women pray for a godsend, the clear voice of inspired guidance and direction. With the whole world now inching to the brink of fully modern war and masses of people clamoring for one thing and another thing, today it is welcome for sages and saints to return to public life after many long years of obscurity. 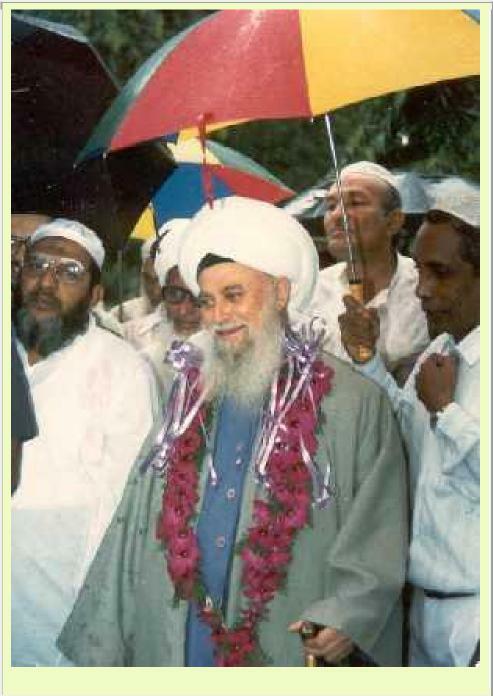 His Holiness Sheikh Nazim Adil Al-Haqqani, world leader of the Naqshbandhia Order, is respected as a servant of Allah throughout the Islamic world. A native of the island of Cyprusand Turkish by descent, the radiant, blue-eyed Moulana (‘wise one’) is a striking figure in mullah’s robes and white turban crowned with the green pointed kulah cap of Naqshbandhi sheikh (literally, ‘old man’). Almost fifty years ago, he was a biochemistry student living in Istanbul when kismat (destiny) struck and made him to have change of heart. He left everything and set out to find a sheikh or spiritual guide. 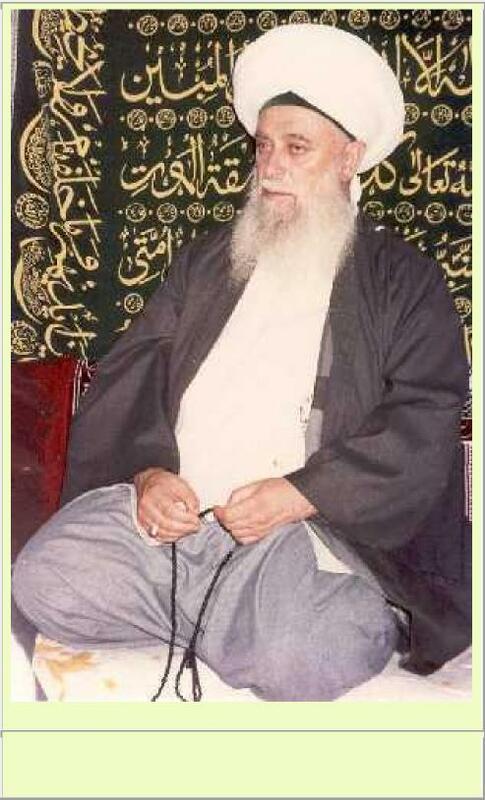 In Damascus he met Grand Sheikh Abdullah Daghistani, the thirty-ninth sheikh in the Golden Chain beginning from the Prophet Muhammad. For twenty-two years, Sheikh Nazim performed haj annually. Finally, his Grand Sheikh told him to “Take Islam to Europe.” From England and Germany his following has expanded to Asian countries including, for the last five years, Sri Lanka. 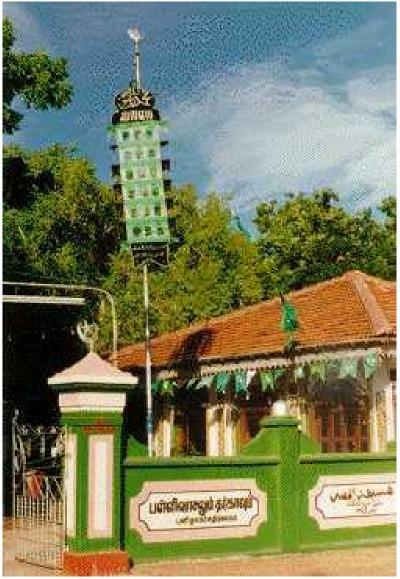 Each year Sheikh Nazim and his mureeds (disciples) go to Kataragama to pray at the mosque and shrine and to look for signs of al-Khidr, the mysterious undying teacher of Islam who, according to local belief, is the presiding spirit of Khidr-gama or Kataragama. Earlier this month, the Moulana and his mureeds from East and West left Sri Lanka after a hectic fortnight of travel, prayer, and speaking engagements. Before he left, I was privileged to accompany Sheikh Nazim for the final four days of his visit here. During that time, many like myself heard His Holiness speak in English and Arabic about issues that deeply affect every human being, whether Muslim or otherwise. With Sheikh Nazim’s kind permission, I record here just a few of his remarkable utterances that spring from a heart immersed in the Holy Quran and the life of the Holy Prophet (Sal). Expressed in simple English, they deliver a message to all that even greater changes may be expected shortly. Speaking at Cinnamon Gardens after Jummah prayers recently, Sheikh Nazim said he was “very happy to be in Serendib as a pillar of understanding and peace for everyone.” He warned, however, that the spirit of Shaitan was alive and working here in Sri Lanka in recent years and that it was the duty of good people when they saw the mischief-makers to catch them. Justice and faith, he said would give them the strength to do this. Implying that the current Mideast crisis could erupt into the long-expected Armageddon war, Sheikh Nazim urged all mu’minun (believers) to stay calm and be happy, The unbelievers rushing about at that time, he says, will be blown away by the gale of the Sirit that is coming soon. A novel aspect of Sheikh Nazim’s prophetic vision is his prediction that all technology, currently in the service of Shaitan, shall turn back upon itself. The very weapons of Shaitan — the Devil’s own tricks — will also be his own undoing. “We Muslims do not need to carry pistols or machine guns. There is a need for this for Muslims today because they have no Imam (‘pillar’ or exemplary leader). There should be one Imam for all believers and for the whole Islamic world, not many kings and presidents like today.